Assisting Angels, Inc SC-homecare Assisting Angels, Inc., located in Mauldin, SC. We are the only Certified Senior Approved non-medical home health agency in the state. Telephone: (864) 288-7100 We’re not simply a `visiting` service. We actually `assist` your loved ones with hands on personal care and attention in addition to companionship. Assisting Angels, Inc. is a family, locally owned company that provides flexible, affordable home care to the elderly and others with disabilities. We believe that home is more than a place where you live. Home is where everything is just as you like it. The way you have chosen for it to be. Comfortable. Safe. Private. A place where you can be at ease; alone or with friends and family. When you require assistance with activities of daily living, this should not cost you your privacy or independence. It should not mean you can no longer stay in your home. When the doctor says that you or your loved one doesn’t need the services of a nurse, but does need assistance from a home health care provider, call Assisting Angels, Inc. While our service for home health care providers is usually less costly than other home health services, our caregivers are well-paid and therefore we attract the best individuals to help your loved ones. Caregiver Screening Prior to becoming a caregiver, an individual is carefully screened including South Carolina SLED check Personal, in-depth interview with owner of company Business/work references Driving record (as needed) Caregivers are screened, bonded and insured.SC-homecare Services Offered We offer a quality, compassionate, personalized service Professional personal care (bathing, dressing, etc.) Companionship Alzheimer’s/Dementia care Light housekeeping (cleaning, laundry, etc.) Meal preparation Running errands (picking up prescriptions, groceries, etc.) Short term or long term care Services are flexible and available from 3 to 24 hours per day. We provide care in private homes, nursing homes, assisted living facilities and hospitals. We personalize the care to meet the specific needs of your loved one, giving you peace of mind. Assisting Angels, Inc. also participates as a service provider for the Greenville Area Chapter Alzheimer’s Respite Care Program. 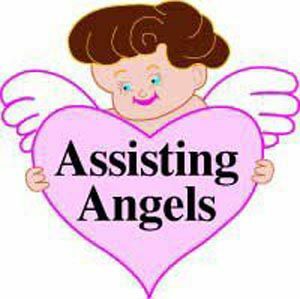 You may contact Assisting Angels, Inc. at (864) 288-7100 or toll free 1-866-241-4651. You may also visit Assisting Angels main web site. If you currently need help with a loved one or anticipate needing care, please contact us directly. We look forward to caring for the ones you love the most!